The upcoming Han Solo spinoff film is promising to offer a whole new look at the Star Wars universe. With the famous smuggler's origin story serving as the focus of the film, fans are expecting an array of new planets and characters to enter the fold. And a new set photo indicates that a significant Star Wars location will be featured in the film. Han Solo: A Star Wars Story is currently filming on the island of Fuerteventura, one of the Canary Islands off the coast of Spain. A new set photo uncovered by the Spanish outlet Canarias7 shows a series of abandoned huts and other "junkyard"-like gear set up on the island's beach. "The hometown of Han Solo emerges from the white sand of the Jandía Natural Park. The inhabitants of this place, of the planet Corellia, live in some damaged igloos and under the remains of ships and other intergalactic scrap. It is the first image of the setting where for two weeks Disney and Sur Films will film the movie. Early rumors pointed to houses being built of salt, with tons and tons of salt. A witness who managed this week to avoid the iron surveillance of the filming described that the town was formed by brown leather tents or jaimas. However, the image shows a village almost on the verge of being undone, built with metallic remains that are as protected as they can be from the sun of planet Corellia being created in Fuerteventura." If this set is, in fact, serving as Corellia, that poses quite a few questions for Star Wars fans. Previous interpretations of the planet have described the planet as having jungles, forests, and urban locations - but that wide variety in locales certainly makes a desert spot on the planet possible as well. In addition, reports are asserting that a series of the film's cast members are in Spain for filming. This includes Han Solo himself, Alden Ehrenreich, as well as Emilia Clarke, Donald Glover, Woody Harrelson, and Warwick Davis. If the set isn't representing Corellia, some are seeming to suggest that it could stand for another famous Star Wars planet as well. 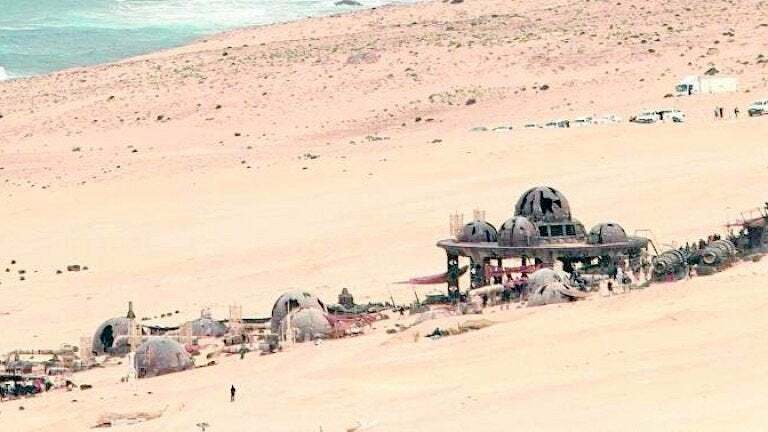 StarWarsNewsNet suggested that the set is actually an abandoned settlement on Tatooine, and that scenes of Han running into Boba Fett or Jabba the Hutt. But that speculation has allegedly since been refuted by several sources. Of course, all of this is just speculation at this point. But it poses a series of interesting possibilities as to where Han Solo and his ragtag group of characters will travel to. We’ll find out when the Han Solo anthology film debuts in theaters May 25, 2018. Are you excited for the next film in the Star Wars spinoff series? Let us know with your vote in the Anticipation Rankings! Han Solo: A Star Wars Story is filming now under directors Phil Lord and Chris Miller for a May 25, 2018 release. 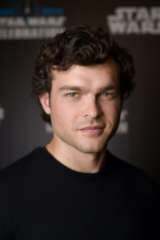 Alden Ehrenreich stars as a young Han Solo and Joonas Suotamo as Chewbacca in the era before Star Wars: A New Hope, before they met Leia and Luke and embarked on a galaxy-saving adventure. Donald Glover also stars as Lando Calrissian, with Woody Harrelson, Thandie Newton, Phoebe Waller-Bridge, and Emilia Clarke in as-yet-unrevealed co-starring roles.